This is a conversation that I had earlier this week with a person whom I knew from a Western Embassy. She (a Sri Lankan) had been a strong supporter of this Yahapalana regime. No wonder that many such Yahapalana supporters are repeatedly raising this question for the past several months. Many noises on corruption were made, many promises to get those involved behind bars were made on the election platforms, but the desired deliverables are yet to be made. When looking back, this is one of the major accusations against this new government. It was easily said than done. In fact, the hopes of the people who voted for Maithripala Sirisena exactly a year ago were extensively high and managing those hopes became the biggest challenge for both President Sirisena and Prime MinisterRanil Wickremesinghe for the past one year. Whatever said on the electioneering platform, re-establishing democracy that had been devastated for over a period of a decade could not be accomplished within twelve months. Apart from delivering the tough election promises President Sirisena had to face an equally tough challenge of securing his command within his own party. However, he has so far well managed to maintain his grip through granting ‘rewards and perks’ in winning loyalty but yet to reach a comfortable stand as the party leader. Though many were critical of his way of handling UPFA nominations at August 17 general election by granting contesting opportunity to his rival Rajapaksa camp, President Sirisena’s action has managed to confine the one-time most powerful man to just as a Parliamentarian. Nevertheless, Rajapaksa will continue to challenge him and create ripples from within. This will certainly require more investment of time, energy and compromises from President Sirisena that may sometimes distract him from his own promises of Yahapalana. A classic example for this phenomenon was the appointment of several defeated candidates through the national list to Parliament, a tough decision he had to make amidst many criticisms in a bid to strengthen his own grip within the party as well as within the House. Political reality is far from election pledges in such instances. Nevertheless, it is extremely important that President Sirisena establishes his full command within SLFP ifYahapalanaya is to succeed in an environment of political cohabitation. The January 8 regime brought a new culture of consensual politics, at least for a limited period, but this virgin concept is yet to be grasped by our politically savvy society in its true sense. When it comes to corruption, the new government had a double challenge. The first was to re-establish systems and institutions that fight against corruption as those entities were either silenced or completely shut down. The second was to take action against those corrupt individual big wigs as promised during the electioneering campaign. True enough, the process against corrupt individuals of the previous regime has been extensively slow due to many technical reasons. 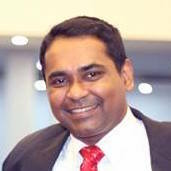 Deputy Minister Ajith Perera at a recent television talk show explained this situation well and claimed that in some instances the process may take seven to ten years given the nature of operations in law enforcement agencies. This is when acting according to theYahapalana principles. Otherwise putting someone behind bars could easily be done as it happened during the previous regime, he said. Thus, it seems the government is sandwiched between two dilemmas and caught in a paradox. But, it has been successful in taking concrete measures through establishing systems and strengthening institutions against corruption and mal governance. 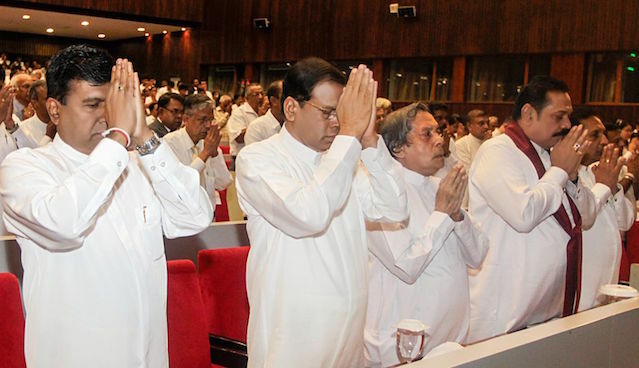 Though diluted to some extent due to heavy political bargaining within the House – predominantly due to the pressure by Rajapakse camp, the 19th Amendmenthas been a significant achievement in correcting such mistakes and bringing the country back on democratic track. The autocratic system of governance was abolished – peoples’ representation was honored. Even after year-long deliberations, the much awaited Right to Information Act would see the light of the day within a couple of months. The recent waves of protests and the vociferous social media landscape prove the fact that the freedom of expression has been ensured, though the traditional media is yet to enjoy this golden opportunity. These are cardinal steps in strengthening the basic rights of the citizen. Re-building the image of Sri Lanka among its own international peers would have been the toughest challenge of the year. The country transformed itself from the pariah status to decency – both on policy as well as diplomacy. We had a foreign policy of arrogance and non-engagement while our key diplomats in main global capitals were busy with their own businesses and drawing immense benefits form government deals. Cronies and kith-and-kin ran the foreign service for their own benefits at the expense of poor tax payers and nobody was bothered. Be that as it may, the Yahapalana regime has completed its first year in office amidst many achievements and some failures. What has already being done is far from necessities but those could be bold enough in marching forward on the path of good governance. As Nalaka Gunawardene rightly said in his recent columns, this is a process – not a set of individual activities. Expectations are still at its peak and managing them well have to be done with extra care. What is the biggest challenge that it would face in the coming years? To my mind, it would be building national reconciliation through a credible process of transitional justice. Nationwide process of consultation is now on drafting a new constitution that would further strengthen the reconciliation process. In fact constitutions are to meet the needs of the day. The 1972 constitution was to ensure true freedom of the country by establishing executive, legislature and judiciary through independent mechanisms from the British Monarch while the 1978 constitution was to strengthen the executive for a sustainable economic development of the country. This strengthened executive system boomeranged and got into its worst practice for the past two decades. Thus, the need of the day, mainly in a post-war environment is to ensure national reconciliation and ethno-religious harmony. Both President Sirisena and Prime Minister Ranil Wickremesinghe are seems to be committed to this cause but several ugly elements are still raising their ugly heads through different brands. One such movement is talking about Lion Blood (Sinha – Le) these days. These efforts should be nipped in the bud before they create another blood bath in this country. But, whatever said and done, people are still awaiting to see some errant former big wigs are getting punished without further delay. This will remain a challenging encounter to the government, irrespective of any other achievement that it would make in the future.